Back after months! Very very sorry for not responding to your queries, was that much busy making home better.. :) Now back with a simple rice recipe to fill our little pearls' lunch boxes, Cabbage Rice.. Its a real pleasure getting a "satisfied" feedback while they come back from school..
cabbage chopped length wise 2 cups. Heat oil, saute chopped onion until transparent. Saute cabbage and capsicum in the same. When it is about to cook, add salt and pepper, mix well. Add cooked rice in this stir. Sprinkle cheese over this, serve hot. There were about 43 comments in the inbox. Now you know the reason why couldn't you find any reply to your queries and comments..
Have posted a bilimbi pickle earlier. 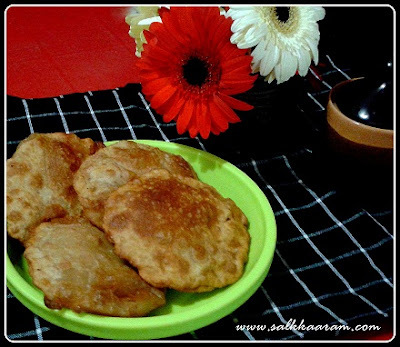 This one is very simple to make and tastes great with rice and dosas. Grind all ingredients together except coconut oil to make a coarse paste. Transfer to a bowl and pour coconut oil over it. You may not get the exact color of the dish as you see in the picture. It might be light purple , the color of shallots..
My blog turns 5 on this Newyear's Eve. Alhamdulillah.. 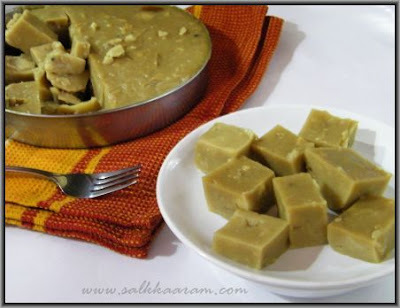 Thanks to my readers, friends and relatives who supported me all these years..
Make a dough using Aatta and maida. Chop onion and green chilly. Break egg into a bowl, mix with chopped onion, green-chilly, coriander leaves, all powders and salt. Place one puri in a small bowl (a bowl with a deep bottom). Pour the 2 tsp egg mixture. Place one puri over this and press edges. Heat a frying pan, apply 2 tsp ghee or oil. 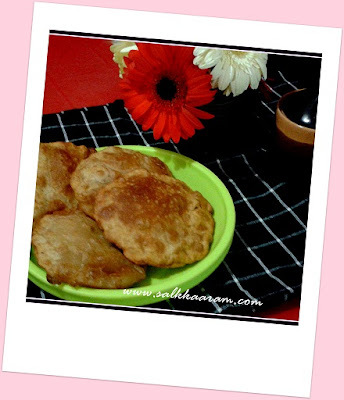 Place this puri carefully on the pan, fry on a low flame by flipping over the puri frequently. Cook until both sides are cooked well. Take coconut milk from one coconut by blending grated coconut with enough water. 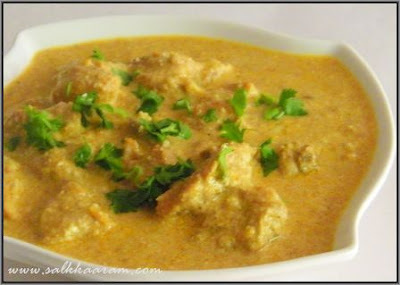 Take thick coconut milk and mix this with kanji vellam. Take this together in a heavy bottomed vessel and place on stove top. Allow to boil stirring occasionally. 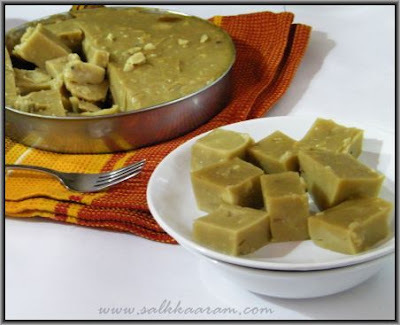 Then add jaggery blocks, allow to melt it completely by stirring occasionally. Then add rice powder mixed with little more kanjivellam. Add cardamom powder and stir continuously. When this turns thick and reaches a string consistency add cashews and raisins. Grease a pan using ghee, transfer the contents into that. Cut into desired shapes, enjoy with tea! 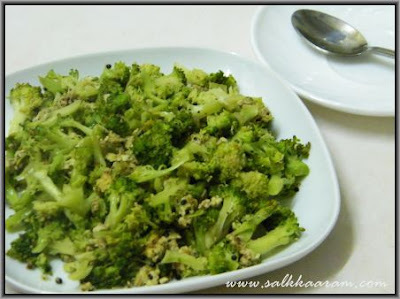 Chop broccoli into small florets. Heat oil, saute chopped onion in a pan. When it is semi transparent, saute ginger and curry leaves. Saute for few seconds, and break egg into that. Stir, and make like scrambled egg dish. Add pepper powder and salt, along with broccoli pieces. Mix well, place the lid, cook on a low flame. Open the lid and stir occasionally. Cook for only few minutes. 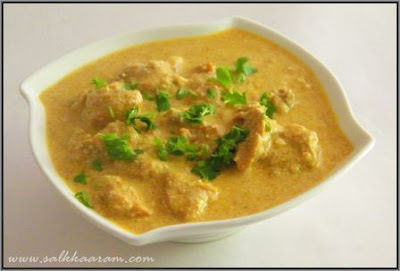 Marinate with curd, chilly powder, turmeric powder, garlic and ginger paste and salt. Soak almonds in hot-water, allow to cool, peel. Grind them into a fine paste. Chop onion into very finely. Heat oil add cumin seeds , then chopped onion. Add cardamom,cinnamon and cloves and stir for a while. Add marinated chicken with coriander powder and stir for a while. Add garam masala powder and cook until the chicken is done. Add the ground almond paste to the cooked dish and when begin to boil, remove from fire. 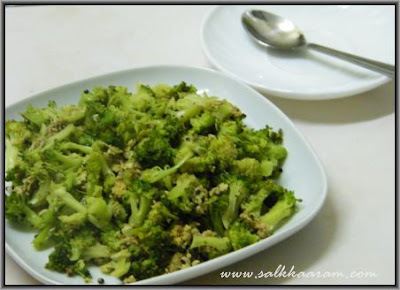 Garnish with coriander leaves, serve hot.